"The Jewel of the Strait of Georgia"
Galiano Island, BC, Canada is part of the Gulf Islands Group located off the east coast of Vancouver Island in British Columbia, Canada. Galiano Island rests on the shores of the Trincomali Channel and is said to be, "The Jewel of the Strait of Georgia". It is one of the more rocky islands of the Southern Gulf Islands with mountains, bluffs, cliffs and reefs. 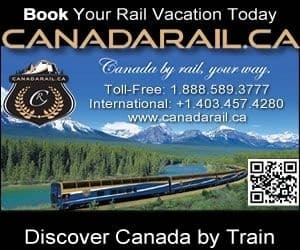 The most popular adventures and activities enjoyed on Galiano Island, Gulf Islands, British Columbia, Canada includes sea kayaking, tour companies, kayaking, boating, sailing, scuba diving, hiking, birdwatching, golfing, wildlife watching, camping, beachcombing, sightseeing, picnicking and swimming. A few of the more popular activity and sightseeing park and trail destinations located on Galiano Island, Gulf Islands, British Columbia, Canada includes the Montague Harbour Provincial Park, Bodega Ridge Provincial Park, Dionisio Point Marine Provincial Park, Bellhouse Provincial Park, Matthews Point Park, Bluffs Park and the Mount Galiano Trail. The most visited sightseeing attractions, art galleries, historical sites and cultural venues on Galiano Island, Gulf Islands, British Columbia includes the Galiano Museum and Archives, Aunt Di's Cottage and many art galleries. Travel services important to travelers on Galiano Island, Gulf Islands, BC includes accommodations (resorts, vacation homes, cottages, bed and breakfasts, hostel), campground, grocery store, pub, bakery, gift stores, restaurants, spa, gas station, laundromat, cell service, pub, internet and transportation services including a marina, and ferry service to and from Galiano Island. BC Ferry service from Vancouver Mainland (Tsawwassen to Galiano Island-Sturdies Bay) (click for ferry schedule). BC Ferry service from Victoria, Vancouver Island (Swartz Bay to Galiano Island-Sturdies Bay) (click for ferry schedule). Explore Galiano Island, Gulf Islands, Canada Travel Guide for Accommodations, Attractions and Adventure. eh! Plan to Visit Galiano Island today.